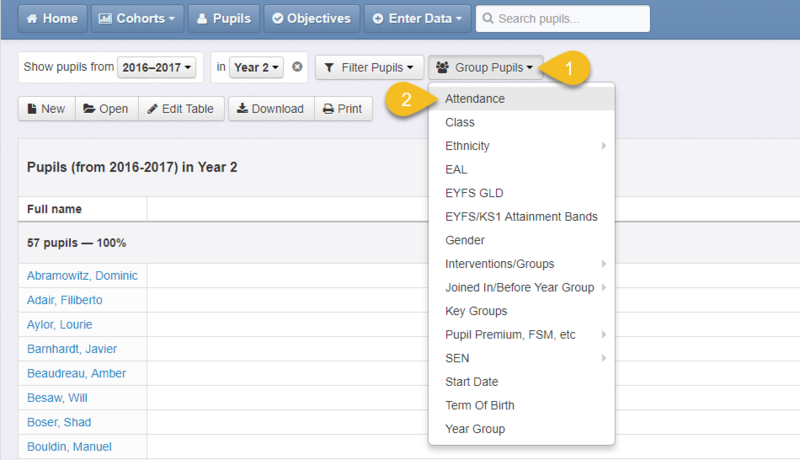 Insight's reports can filter pupils based on their attendance at school. Then click on Filter Pupils and select Attendance. You can then chose whether you need to see pupils with good or poor attendance. The "Unknown attendance" option will show pupils who have missing attendance data. Attendance information needs to be kept up-to-date from your MIS. Please see our help guide on Managing Attendance for more information.